Monks Park Surgery aims to give a friendly, approachable and professional service to all our patients at all times. If you would like to tell us that you are happy with the service that we provide, do please let us know by telephone or in writing. Please complete our online Friends and Family test to let us know how we're doing. At Monks Park Surgery our clinical and administrative teams are committed to providing quality care and service. We recognize the importance of managing continual improvements at our practices and understand that patient feedback is imperative in achieving this objective. It is part of our responsibility as health care professionals to deal properly and professionally with all complaints. 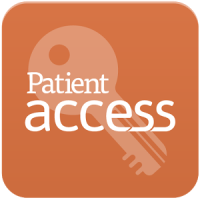 Patient complaints are dealt with calmly and in line with the Practice Complaints Process. 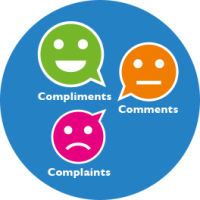 We will aim to sort out the complaints as quickly, effectively and as smoothly as possible. Most problems can be sorted out quickly and easily, often at the time they arise with the person concerned and this may be the approach you try first. Where you are not able to resolve your complaint in this way and wish to make a formal complaint you should do so, preferably in writing, as soon as possible after the event and ideally within a few days, as this helps us to more easily establish what happened. • What will be done to put things right? • What action will be taken to resolve the matter? • What will be done to stop this re-occurring? You are entitled to seek advice form a variety of sources and this information is provided below.